Winter in Alaska is Wild! And, isn't that what Alaska is truly famous for? Breathtaking snowcapped mountains. Lakes & streams motionless in ice. Sleeping bears. Sleeping mosquitos. Sleeping tourists. Alaska in winter is peaceful, uncrowded, and beautiful beyond imagination. Alaska winter wildlife viewing can be incredible on the Kenai Peninsula, with Moose blanketing our city like door-to-door politicians on campaign, and Bald Eagles so plentiful you'd think they were flocks of seagulls at first glance. Winter recreationg opportunities abound too. 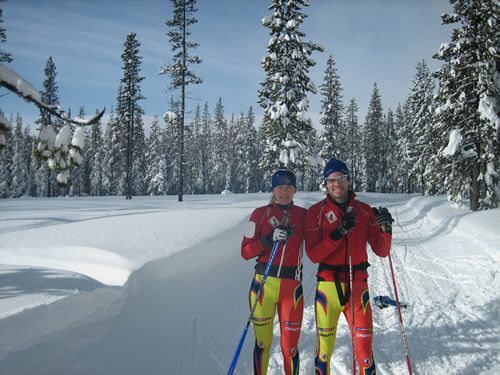 With some of the best world-class nordic skiing, alpine skiing, helicopter skiing, snow boarding, and back-country skiing to be found anywhere on the planet, you could spend a whole week doing nothing but that and not be bored for a single minute. 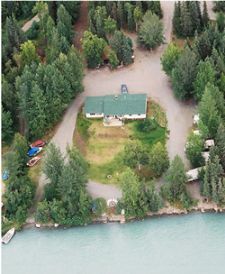 Still, making time for some Northern Lights viewing, dog sled adventures, snowmobiling, ice fishing, flightseeing, snowshoeing )all followed by a nice hot sauna at Kenai Riverfront of course) would be a nice way to round out your stay with us. Wild Winter Wonderland--"Live for winter, Alaskan style!" Endless Sauna to heat & rejuvenate at the end of each day's adventure! Wild Winter Adrenaline--"Kick it into Gear!" Warm up and soothe your muscles in the Sauna all you want! Hibernation Hangover--"Renew Yourself for Spring"
Endless Time in our Authentic Sauna and Rolling in the Snow! *Available November~February. Please review our Cancellation Policy prior to booking. ***Additional Meals, gratuities, fish processing, sales tax, and other services not included. Dog Mushing--Local tours available through several Iditarod dog kennels. Ice Fishing--Catch 30" Rainbows through the ice. Lunker Lake Trout. Monster Pike. Spend the day in an ice house. Snowmobiling--Groomed trails at Caribou Hills, Powder at Summit Lake, Ptarmigan in the Mountains all make for a great day on the sleds. 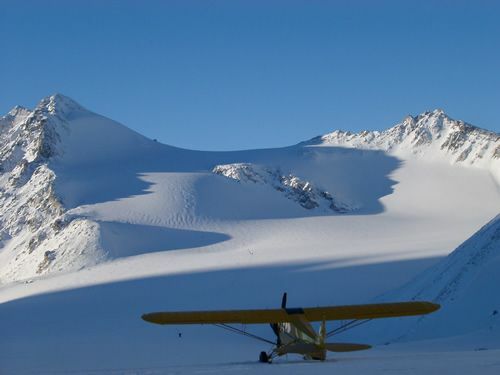 Winter Ski Plane Flightseeing--Fly over the snow covered landscape and thrill at the glaciers, wildlife, and vistas that never end. 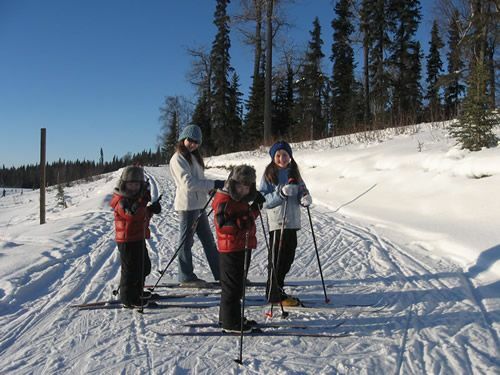 Nordic Skiing--Five major groomed trail systems have been developed on the Kenai Peninsula. Alpine Skiing--Alyeska Ski resort is just 2 hours away. Backcountry Skiing--Summit Lake, Turnagain Pass and the Kenai Mountains all offer great days in the backcountry. Snowboarding--Alaska's ski areas offer exceptional snowboarding. Snowshoeing--Snowshoe the swamps, the bogs, the meadows with moose and a local snowshoe guide. Sauna--Roll in the fresh snow or cut a hole in the ice and jump!! Flyfishing--Fish the open water at the headwaters of the Kenai River at Kenai Lake. 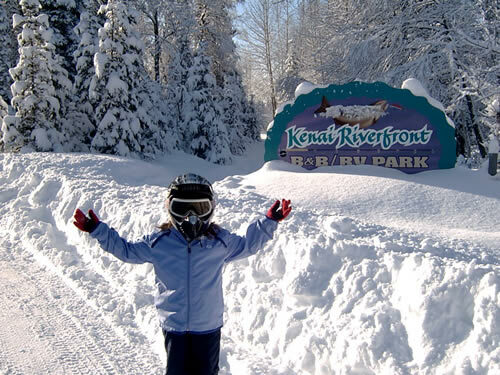 Tubing & Sledding--Great sledding hills are everywhere on the Kenai Peninsula. Winter King Salmon Tournament--Homer hosts the "Winter King" tourney every March. This year nearly 1,400 fishermen fished off of 300 boats. The winning 35+ pound fish netted $21,000 for the lucky angler. Seward Sealife Center & Alaska Ocean & Islands Center--These great marine centers in Seward & Homer are open year round!